What are your comments on the evaluation on the role of succession planning on the survival of family businesses especially in Africa – Zimbabwe in particular? This is a question that the answer really does provide the reasons why “thoughtful” succession planning with a lot of premonition about the future is the KEY to the survival of family business. We refer to the survival of family business, as “Sustainability”. Have a look at this eBook recently completed by our sister company Insights, it is a really good female perspective on your very question, which we thank you for. I’ve heard you talk before and found you very interesting. I’m 28 years old and have a full time job in the Ag industry. I come from a family property in NSW. We are currently working through a succession plan and we had an idea that I start to buy a small section of the place now. It’s a house and 600acres. This would give my parents a bit more cash flow and ease some debt and give me a manageable debt and equity due to it being serverely under valued. I was wondering what your opinion on this would be. Thank you for your help, and looking forward to hearing back from you. It is pleasing to hear that your family are communicating and developing strategies to meet the liquidity needs of the 1st generation and the ownersip needs of the next generation. While your suggested solution may well be ideal for your family’s circumstances, I am concerned about the process taken to come to this proposed solution and how some short term solutions may not be in the best long term interests of sustainability. That is sustainability of the business/wealth and harmonious relationships across the entire family group. What happens to the free cash flow coming from the business now? Is the business economically viable in the future? Do your family communicate about how your generation will deal with the business when your parents are not capable of doing so? Do you have any formal family get together to discuss these issues? In Ownership from operators to governors. This looks at family capital; how it is invested and who is involved in decision making. Many families fail to separate the decision making around the operations from the governance and the strategic decision making. Many family members can have successful careers outside the family business but still remain very much part of the family business through various governance roles. In Business from local to global. That is the business is an evolving process of succession and in particular how it remains relevant in a growing global economy. I suspect that your family has very little knowledge of what is available to help with this process and on that note I will be pleased to come and talk with you and in the meantime I suggest that you have a look around www.insights.org.au. Log into the free access area to begin with and lets arrange to meet so I can assist you to get the conversation started with the right people in your family group at the right time. Thanks for that MT. This sounds like it is bound up in a lot of tension. I think we need to think not about the event of succession but the process and it is important that the process needs to start well before the event. To do this you need to think of all of the different roles i.e. Owners, Family and operators and start introducing some simple governance at each level. 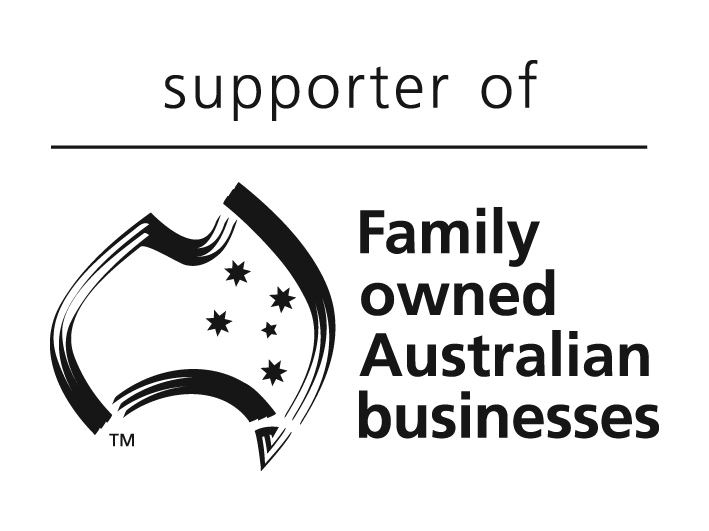 This helps separate the complexity of family business. The best place to start on this is at the family level. Have them all come together and go through what their beliefs are and goals for the future. This helps bring them together on some high level “values and beliefs”. The business may really revolve around what the father wants from it. This, of course, is his decision. The next step is finding out what each of the children expect. Is it already established that they wish to succeed him? The children may be perfectly satisfied to commence independent practices taking clients they already deal with. They may continue sharing resources – premises, support, equipment and hang their own shingles. I think trying to continue the same business honouring the father is likely to be the source of continuing dissatisfaction. Particularly when the goals and ambitions of the children’s partners are considered. For me, the question really is how long will the present arrangements survive? Then, the question becomes – how do we best take care of the needs and wants of the new generation? Dear David, Can you recommend any good books that outline the issues and strategies in simple terms clients can understand? I have a couple but they are from my perspective as adviser and quite technical. Dear “Ready To Learn”, Yes there are a whole lot of resources. Firstly the best is insights.org.au. This has a great deal of short videos and material to help families to go from not knowing what they need to know about succession to knowing what they do not know. We also have our global partner that writes a book called “Family Wealth Sustainability Toolkit”. Soon we will launch a great tool you can use called a “Family Constitution”. This helps with the process as well. The Cleardocs Family Constitution will be available at the end of December, just google Cleardocs to source it. Of course we are always happy to work with you and your client. Our contact details are at the end of this document. Dear David, Parents are in a farming partnership with two sons. The father is 70 plus so unable to work as a 30 year old. One son does not contribute the same as the other son in terms of time on physical, or management or marketing. Thus significant responsibility lies with the first son to ensure virtually all aspects of the business happen effectively. Drawings are not equal, and sometimes in favour of the son who does the least as he has different financial needs. Any pearls of wisdom? Dear Beleaguered Adviser, This is “Classic”. Many of our rural communities have great need but reluctantly few engage in the communication required. Here is a matter of identifying what is Family, what is Ownership and what is Operations. Operators need to have an employment agreement and remuneration structure and owners need to understand financial returns in the context of a dividend policy. I may suggest that when the family meet on something like this it is important to understand what the family policy is. I often see children getting equal payments and there being no recognition of the different roles etc. If the family have sat down, discussed this, understood this and all agree with it then that is fine although from a sustainability perspective, this is unlikely to work in the long term. I think the best thing to do in this situation is talk to all family members and get a perspective, understand the estate planning wishes and think about how best to move from now to when the father has been succeeded. Have the family have the “manager son” report to the family about the operations on a regular basis (structure/process) and then build a written job description and a set of accountabilities. From this assign a salary package that directly links to that. I mentioned the free resources on insights.org.au before and again I would encourage your clients to have a look around this catalogue of free videos and watch some which deal with the subject of remuneration and how other family groups have dealt with it. You will find most successful family businesses revert to best practice, which is market value, but a few conversations will have to happen before then. Scenario 1: One of the questions we get asked is how do you get two brothers, each 50% shareholders in the second generation family business, but who haven’t spoken for five years, to make a shared plan for their business? The response is that it is not easy. I suppose the question has to be do they want a shared plan for the business? They may prefer the option of splitting the shareholdings and having separate businesses if there is that much conflict. A conversation perhaps individually may help get the ball rolling on the longer term plan. If they wish to continue with the shared enterprise I would think facilitated meetings to define a shared vision would be the medium term plan. Scenario 2: Another question that we get asked revolves around accountants who sit in on several advisory board meetings with their clients but which often break down into emotional chaos, with family members reverting to family roles. How do they manage this so that some outcomes can be achieved? The response is that it is not uncommon (and often the first point of business) in family meetings to set guidelines for behavior for these meetings. They can set them themselves but they need to be documented and agreed e.g. speaking respectfully, not talking over each other, equal air time, everyone is equal. Dear David, What would be the best approach to family mediation – being inclusive in the one meeting or having separate meetings and using two Partners to work on the matter? Dear “It Depends”, This really does depend on so much. The processes we use are international best practice and rely on an annual retainer (to conduct a process of independent facilitation). By your use of the word “Mediation” I suspect that there is tension, disagreement or conflict. In that context an important first step is for an expert to talk confidentially with all family members, not just the conflicted parties, and only from that can you formulate a reasonable strategy designed with the uniqueness of the family in mind as all families are different. Dear BR, It is sometimes difficult to know whether to encourage governance on the basis of hope or fear. Hope of creating a long-term legacy, hope of seeing others stepping up in the business and grow and innovate. Fear of a sudden health crisis with no contingency plan and the business crumbling, fear of still doing the same thing when you are 80 years of age but not by choice and fear of damaging family relationships over succession conflict. Dear David, Many of my clients are managing the division of their assets in their will. What is wrong with that? Dear There is More, That is OK if it is just assets and they have worked it out as a family. If the assets include a family business however, they need to start planning early. Too many times we hear “they can sort it out themselves when I’m gone” absolving all responsibility to others and increasing the chances of conflict. Dear KT, There is no “best time” but it is good to be thinking about it and acknowledging it. We often refer to succession as transition. It is a process and happens best when there is good communication and over a period of time. Dear B.M, Maybe but generally it is important to think of these things as separate. That is you can be family OR you can be family and a legal shareholder. The other element is that because you are family you are likely to be what we refer to as an “Emotional Shareholder” because of your last name or the bonds created via the history of the family business. It is important that the family communicate and have a formal structure to do this and document what they agree to, more commonly referred to as a family constitution.